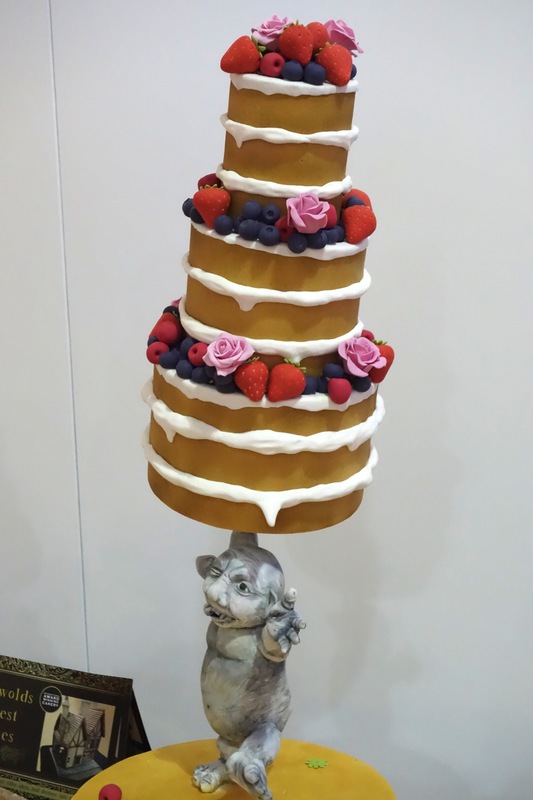 I was lucky enough to snag a ticket to the Cake and Bake Show 2014, which took place in the exhibition centre at Earl’s Court (thanks, Baking Mad!). 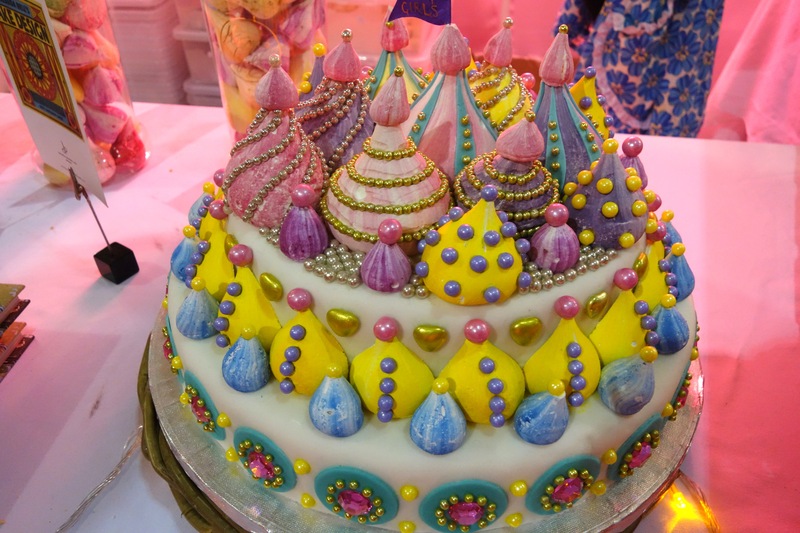 The centre was filled stalls of every baked confectionery imaginable. 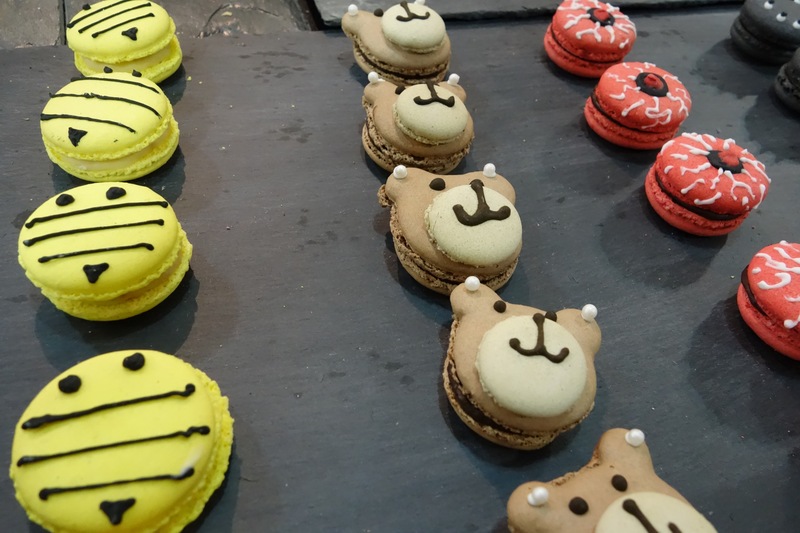 Brownies, macarons, cupcakes, you name it – they had it. There were also the most tempting sausage rolls I’ve ever seen (blood pudding and apple, anyone? ), as well as stands with the latest must-have culinary gadgets. 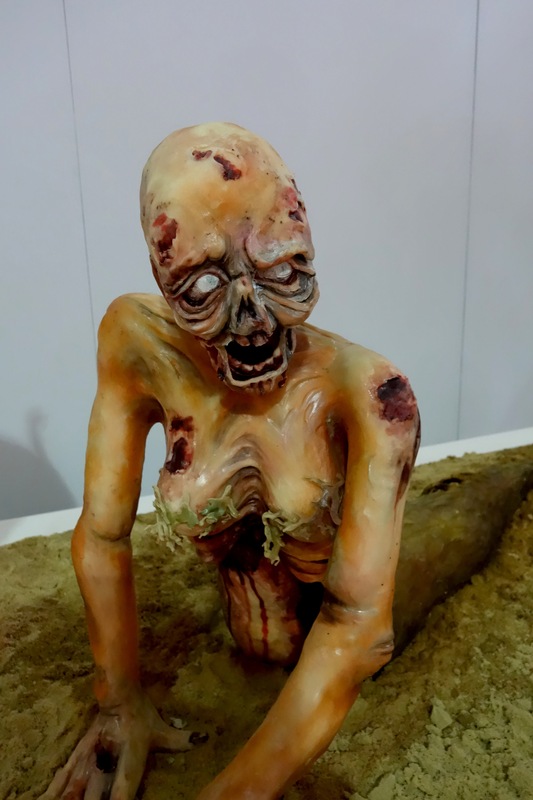 I was really impressed with a lot of the baking that I saw. 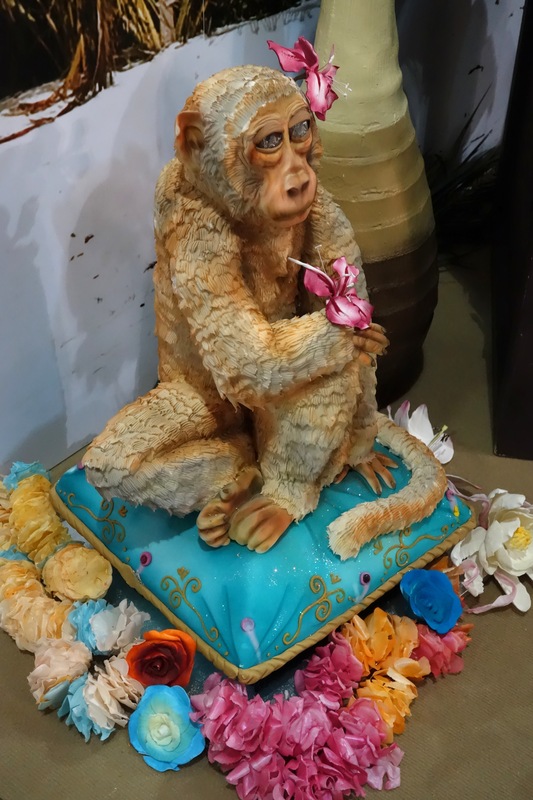 I couldn’t really believe some of the things were cakes – not all of them looked particularly appetising, but they were certainly works of art. The subjects of the following pictures are all edible. On the stages there were various demonstrations and competitions. The crowd was going wild at the sight of some of the celebrity bakers – and I was expecting everyone to be fairly civilised! As a gluten free baker, I was really interested to see some of the latest trends in GF baking, and to see if there were any special flours I could purchase. No luck on the flour front, but there were a couple of gluten free brands that I was really impressed with, that I’d like to feature. One of the biggest qualms I have with gluten free baking is that it often gets relegated to the realm of ‘healthy eating’, or ‘health food’. The only places you can really get a big selection of gluten free flours and products are often health food shops, and, while this is all very well, it doesn’t do much for someone like me who loves baking. I’m definitely more into the aesthetic side of baking – in fact, I don’t really like cake. At all. But I love decorating and baking. Which is why whenever I see any gluten free baked goods for inspiration, I’m always a tad disappointed. There’s a lot of brown, and it’s not very pretty. 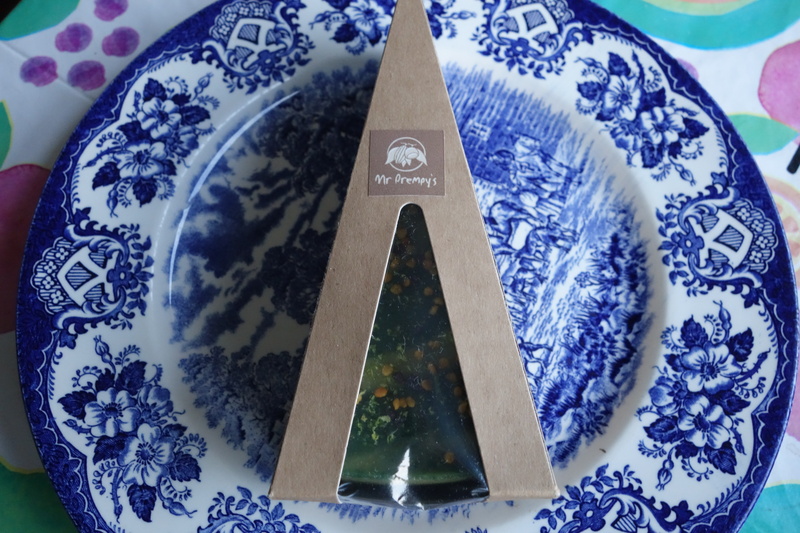 So when I came across the Mr. Prempy’s stand, I looked admiringly and then walked away at first, thinking that it was too pretty to be gluten free. 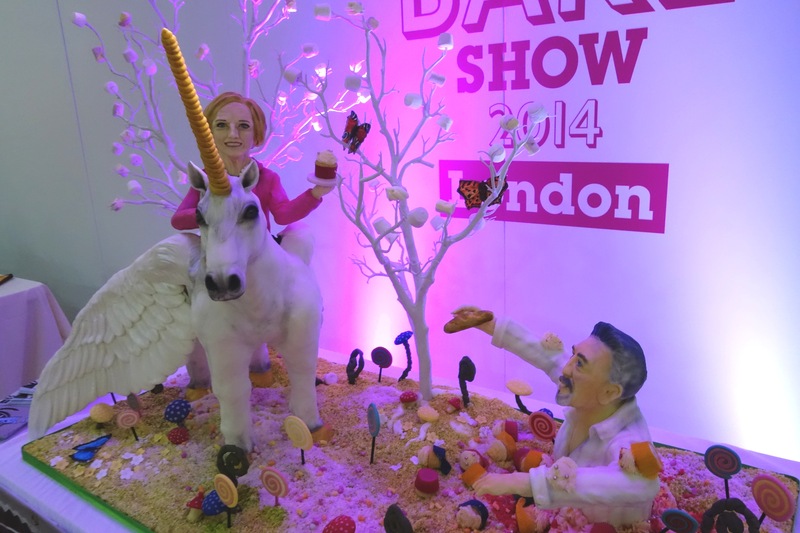 But I was in luck – their products are gluten-free, dairy-free and all that jazz, but they look amazing too! I took home a Gerald, a lime and ginger cheesecake made from cashews and coconut oil. 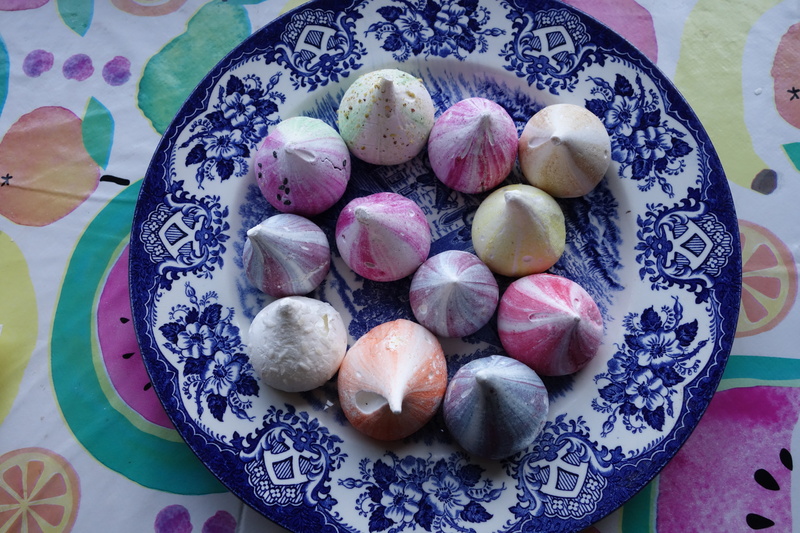 The other discovery I made at the show was the visually exquisite work of the Meringue Girls. 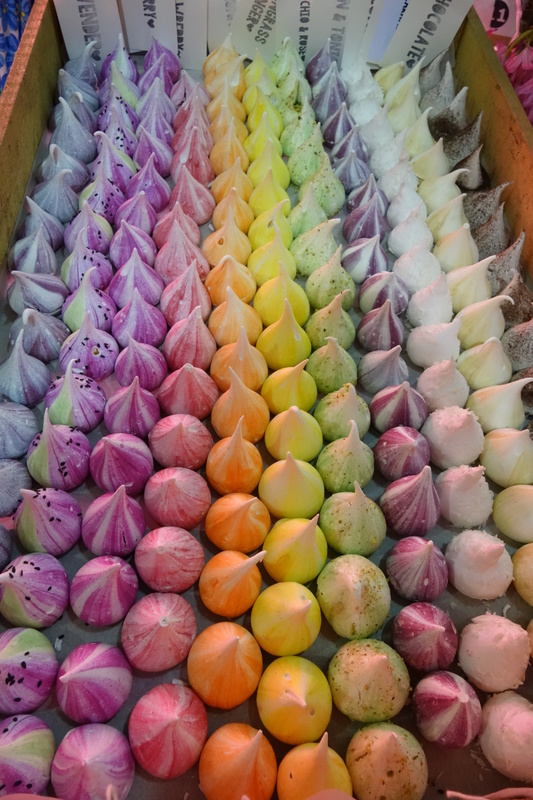 I have never had meringues like these before. The variety of colours and flavours were amazing. 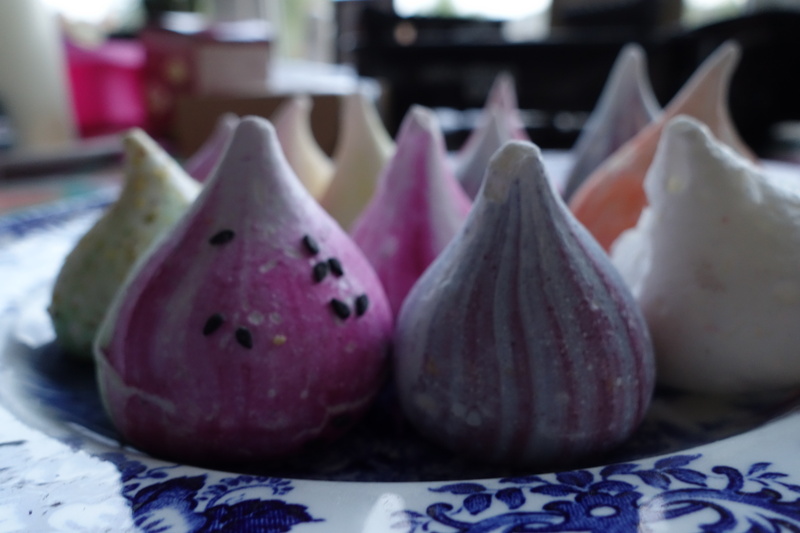 Watermelon, raspberry, lavender, pistachio and rose and salted caramel were among the few I tried. I was absolutely gutted when I found out they’d run out of gin and tonic flavoured ones. I brought a few home with me, and I’m afraid to say these have become my new obsession. 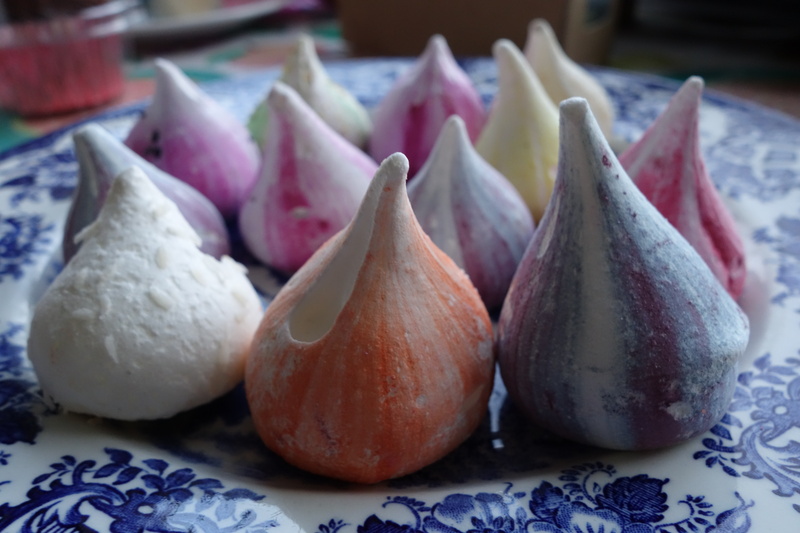 The Meringue Girls also do classes, so I’m definitely going to try and get myself on one of them soon. 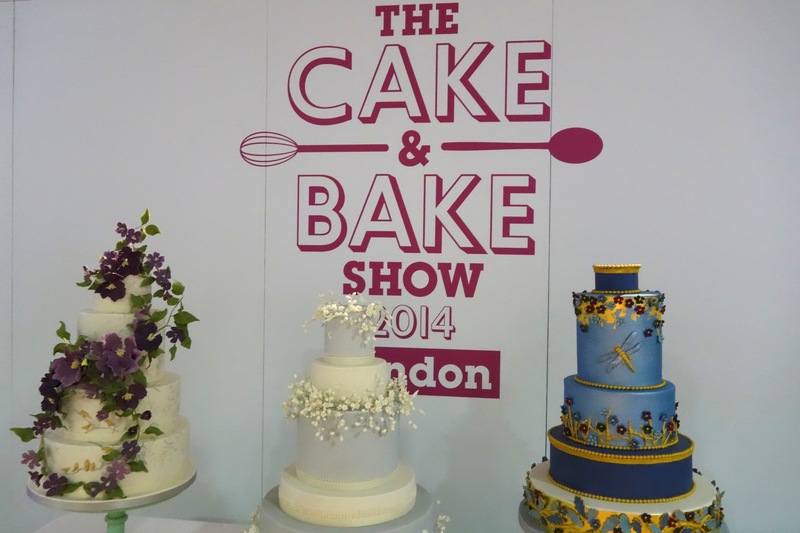 Although I enjoyed myself at the Cake and Bake Show, I would’ve liked to see more savoury baking present. Gluten-free baking particularly: I would’ve loved to see some GF pies, or sausage rolls (especially that blood pudding and apple one!). I didn’t manage to spot any gluten-free bread, either. 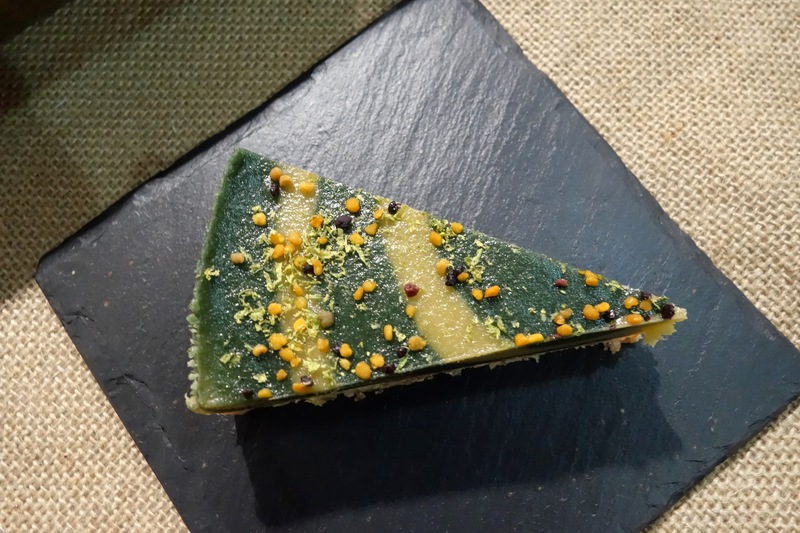 I’d like to see a stall next year filled with all sorts of savoury gluten free baked goods – if not, I might just have to set up a stand of my own!